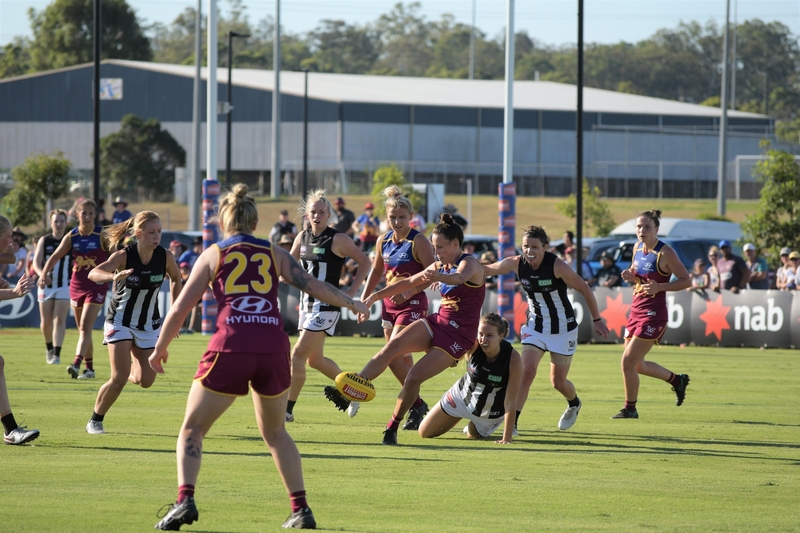 Ingrid Baade captured some great shots from the game between Brisbane and Collingwood. 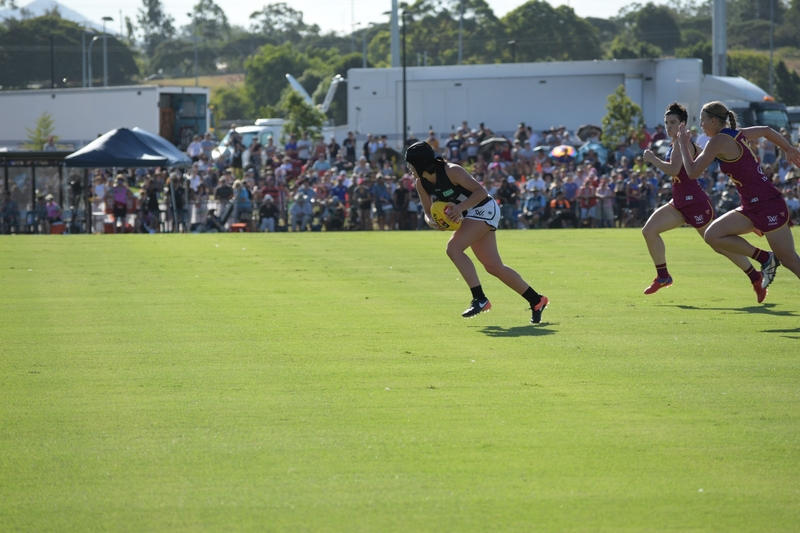 Collingwood’s Emma King goes into the ruck battle against Brisbane’s Sabrina Frederick-Traub. 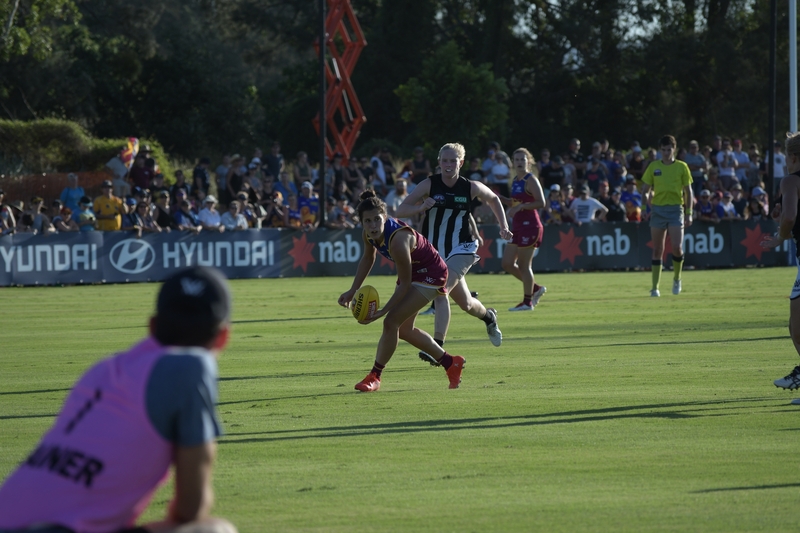 Brisbane Tayla Harris and Collingwood’s Sarah D’Arcy are split in the pack. 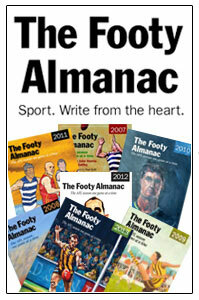 Brisbane’s Alexandra Anderson looks ahead for possible targets. 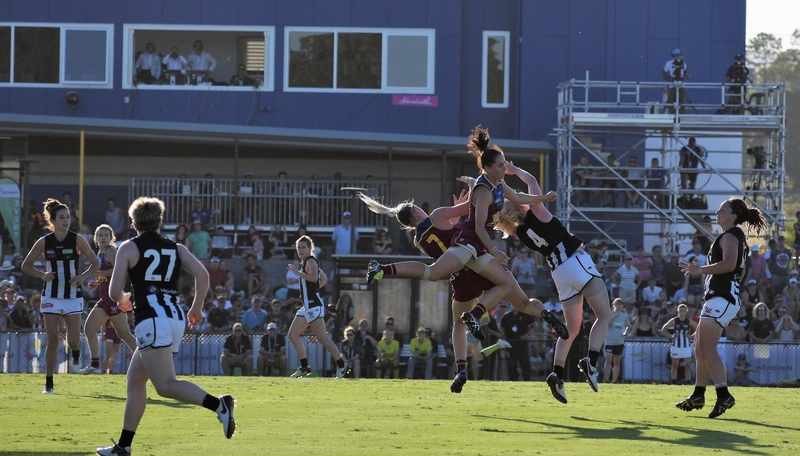 Meg Hutchins kicks away from danger. 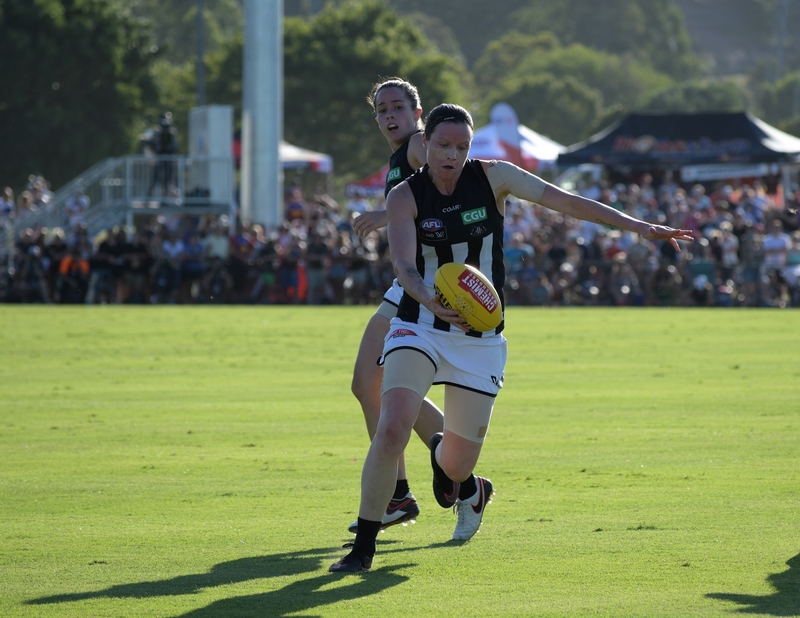 Emma Zielke clears the ball forward despite Collingwood pressure. 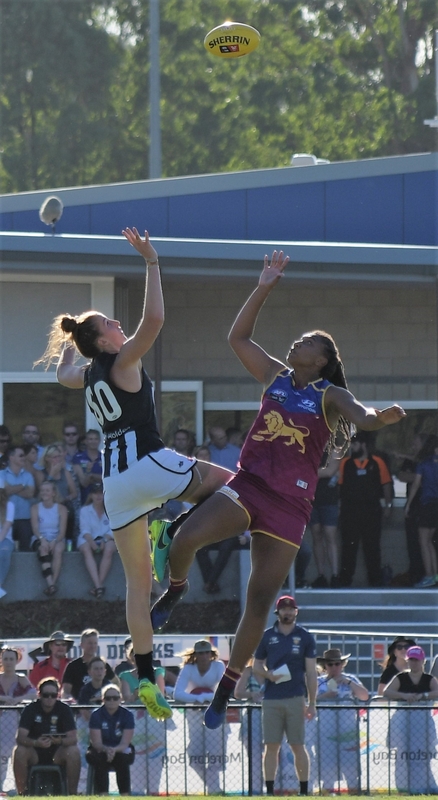 Bree White looks to clear the ball, surrounded by Lions players. 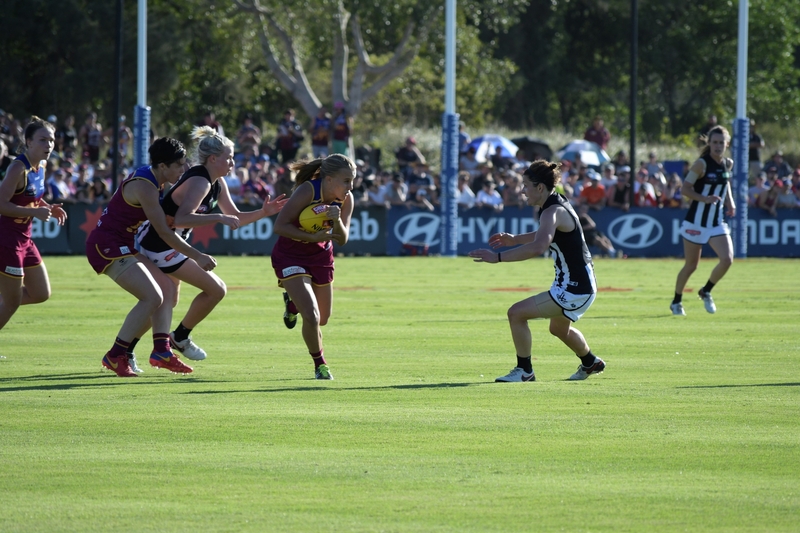 Brittany Bonnici finds space against the two Brisbane defenders. The last photo is the rough and tumble and she’s everywhere player Brittany Bonnici. 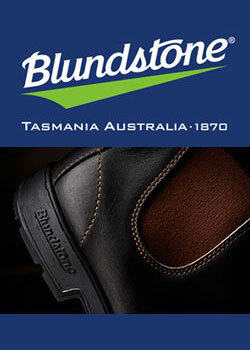 Magnificent player from the St Kilda Sharks. Had a few concussion issues so she wears the helmet. 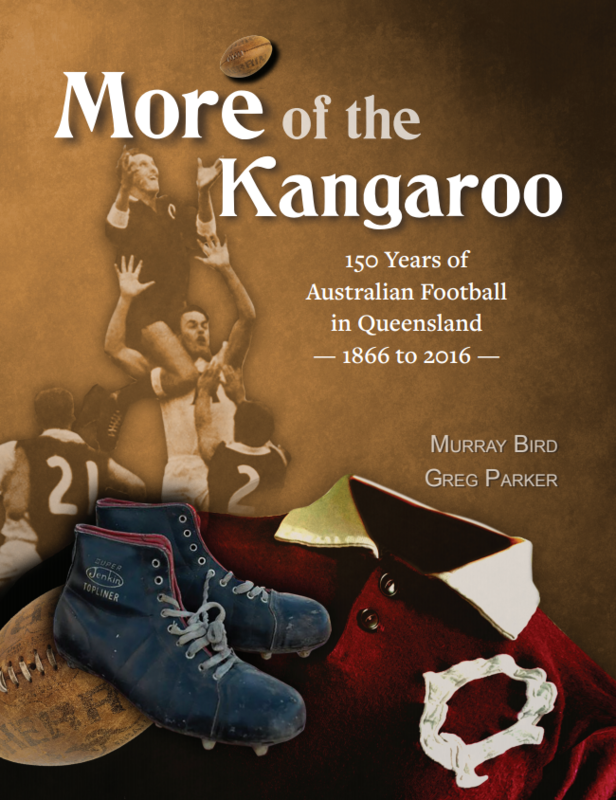 I think you AFL people should hire some one with a abacus who can count the 5500 on a ground with a capacity of 3000 is amusing to say the least,or are they taking lessions from the GWS crowd cound counters. That ruck duel image is a classic. Athleticism, grace, beautifully captured. Forgot to say what terrific photos these are Ingrid. Well done. 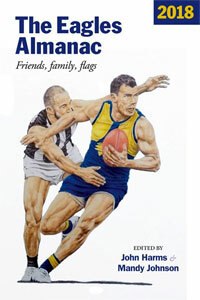 And I agree with the others, the pics are excellent, with the ruck contest an absolute classic.